In this post we will cover everything you need to know about review management, from 'What exactly is review management?' through 'Why does our business need review management?' 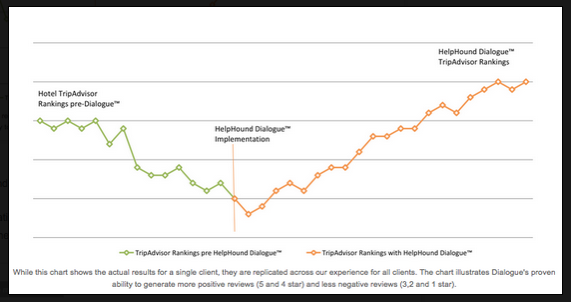 to more detailed explanations of various aspects of the service that HelpHound provides for its clients. To make it easily digestible we have embedded links to other articles so those readers who want more detail can access it easily. Here we will keep to the bare, but essential, bones. 1. What is review management? Review management is the formal management of everything to do with reviews in so much as they impact modern business practice. In the same way as a professionally run business employs independent auditors and accountants, they increasingly employ independent professional review management. 2. Why does our business need to adopt professional review management? Today's consumer wants reviews (Google knows that, it's why they give reviews such prominence in search). Verified (and therefore: credible) reviews attract custom. Inviting reviews from existing or regular customers identifies any who are on the point of drifting away and enables your business to address whatever issue is troubling them, before it is too late. 3. Can we do it ourselves? Yes - almost! In theory you can do everything but claim your reviews are independently verified. It's the same difference between DIY and professional ongoing management in any other aspect of your business's activities, from accountancy to web design. Read about HelpHound v. DIY and there's a simple test here; see if you pass with flying colours (if you do, we can be pretty sure you're already a HelpHound client). HH Tip: Try professional review management and see the results for yourselves - there is absolutely no downside! 4. Can we simply link to a site that hosts reviews of our business? This looked like being an option until Google made a major change in the way it displays search results at the back end of 2014; until then independent review sites showed up well in search, now they have been pushed onto page two (or at the very least below the fold on page 1). This has made the decision a whole lot easier: now you only need ensure reviews appear on your own website and on Google. Independent review sites come and go; they show up well in search one minute and nowhere the next. Professional Review Management is all about adopting the right strategy to maximise the power of reviews, now and in the future. This article explains how HelpHound can confidently promise to do that for you. 5. Why is verification so important? Because consumers have become wary of testimonials. Testimonials were better than nothing at all until consumers became aware that there was a more credible alternative. Now they want to know that you publish every review that your business receives rather than cherry-picking the best (or only the positives). Verification also makes sure that the chances of a fake review slipping through the net are reduced to almost zero, further enhancing credibility. Fake negatives (whether posted by competitors or disgruntled ex-employees) do untold harm to businesses; fake positives, by misguided members of staff or their friends and family members, stand to do significantly more harm if the media or a competitor find out. 6. Why do we need reviews? Because consumers are now conditioned to expect them. And if we pause to think about that contention we can understand why: you want to book a hotel and you want to be sure the beds are comfortable - do you believe the hotel's own website or the reviews on TripAdvisor? You need a financial adviser? How valuable would independently verified reviews from their clients be before you decide which firms to shortlist? In any Google search, the business with the most [great] reviews will stand out. Google now gives massive prominence to reviews. Which one gets the call? 7. Who are these reviewers? It is right to say that those who write reviews are in a minority. But the power to influence future custom is in the hands of that minority. We ignore them at our peril. 8. Do negative reviews really harm businesses? This question is only asked by businesses that haven't (yet) had a negative review. In the service sector, especially, one single negative review has the potential to significantly impact new business. At HelpHound we know that our initial meeting with a business that has recently been the victim of a negative review will last around a third of the time of a similar business that has no (or only positive) reviews. Why? Because the phone will have stopped ringing and they are urgently looking for a solution. If you are concerned that Dialogue may encourage negative reviews of your business read this. 9. Do review scores and ratings matter? In a word: 'Yes'. Review sites and Google include scores, rankings and ratings because they know consumers use them as a shorthand for choosing who to consider doing business with. Simply put, an estate agent or financial adviser with a score of 4.8 (out of 5) will get more inbound enquiries than the same businesses scoring 4.2. And while the businesses scoring 4.2 may not get many, a business scoring below 3.5 will almost certainly get none. The reviews landscape is ever-changing. 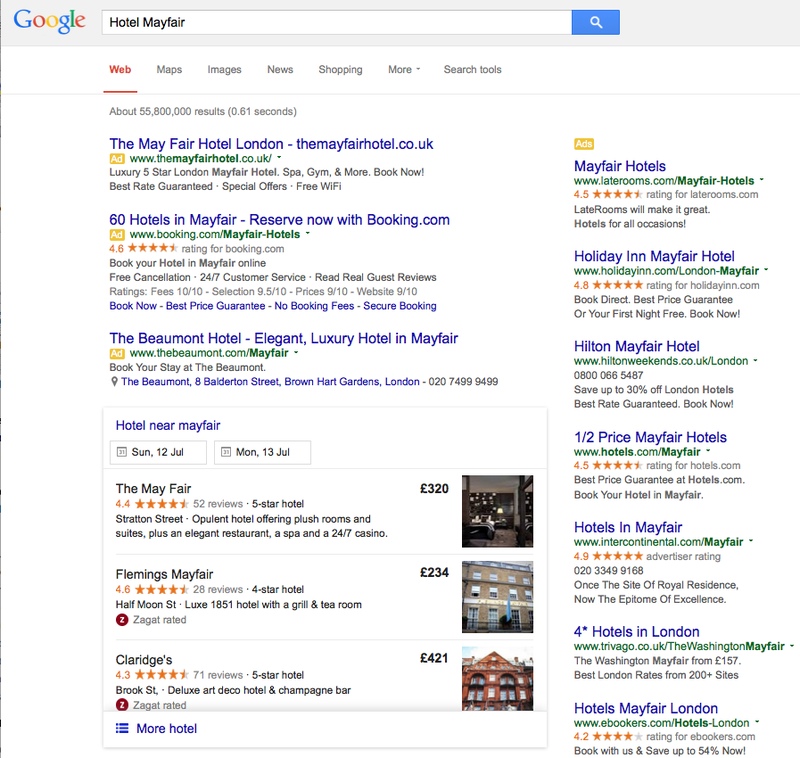 Google is now ranking hotels in local search, it won't be long before they rank other businesses and you won't want to be playing catch-up then. Hoteliers know for a fact that the rate they can charge for a room is directly related to their Google score, Booking.com score and TripAdvisor ranking. They also know their chances of getting a direct booking (saving commission) are greater the higher they rank. Other businesses would do well to take a lead from them. We hear this all the time from business sectors which, as yet, have attracted few reviews. Sometimes it is almost voiced with pride, as if having 'no reviews' was a 'good thing'. 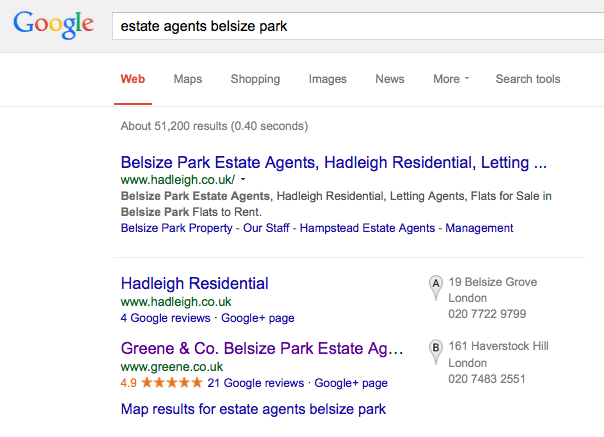 Until last year few estate agents, for instance, had scores on Google. 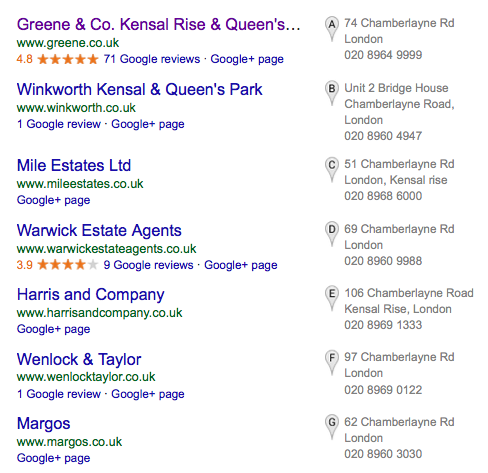 Now an agent without a Google score is beginning to stick out like a sore thumb (businesses are 'scored' - out of 5 - and given a 'star rating' after they have received 5 reviews). Next will come the high value professions: legal, financial and so on until every business on the planet has reviews (and scores). It's easy to write a review, just a click and you're posting on Google or TripAdvisor, a second click and that review is published for the world to see. But we've already highlighted the motives for writing reviews, and by-far-and-away the strongest of these is frustration or dissatisfaction. Industry estimates usually quote a figure of about 15:1 as the likelihood that an unprompted review will be negative. This is simply a reflection of human nature - we are much more likely make the effort to write a review if we are unhappy or frustrated. This does not mean that you are certain to receive negative reviews (there are lots of businesses out there that don't have any, positive or negative, yet). What it does mean is that most (all?) of your happy customers will not write reviews, but a proportion of your unhappy ones will. Only proactive review management will redress this misleading imbalance - encouraging more happy customers to post and enabling the business to manage the issues its unhappy customers have brought to it in private. One of the most important features of professional review management is the inbuilt opportunity to resolve customer issues before any final (and publicly visible) review is written. Our mechanism (which we call Resolution™ for just this reason) enables well-managed businesses to rectify customer issues and misconceptions pre-publication. It embodies the axiom that there are no perfect businesses, just great and not-so-great businesses; and what separates the former from the latter is they address their faults promptly and professionally. Review management is a key component in this process. We are the first to acknowledge that reviews are not the be-all-and-end-all of new business generation. Customers are influenced by a plethora of factors from branding and advertising to personal recommendation and peer pressure and everything in between. 14. Can results be guaranteed? In some sectors they can - in absolute numeric terms. For instance, we can guarantee that a hotel client will get at least 75% less negative reviews to sites that matter (TripAdvisor, Booking.com, Google etc.) by adopting professional review management; they will also get many more positive reviews as well. The net effect on their scores and rankings will be hugely positive - guaranteed. 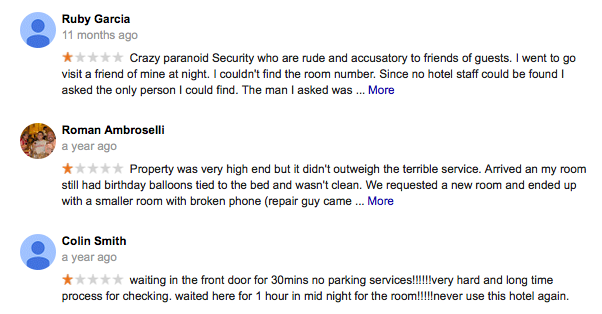 How do you think these results have impacted rates and occupancy for this hotel? With the professions and service businesses there is now a 'race to the top' with Google, and the winners will see massive benefits: looking better than your competitors - having more great reviews - whether you are a small local business or a huge multinational, will matter more and more as more reviews are written on Google. Which business is getting the most enquiries? Review management is all about attracting and displaying verified reviews to drive new business and retain existing business. Reputation management generally focuses on using SEO techniques to promote good news and bury bad news. For more read this. Businesses that adopt review management will thrive; they will look great in any search and they will look great on their own websites. Businesses that do not adopt review management will increasingly look poor by comparison with their competitors, it is as simple and as straightforward as that. Even more? This blog is divided into streams (and the tag cloud to the right).